1. Finely slice radish. Cut avocado in half lengthways around the stone. Carefully remove stone with a knife. Remove the flesh with a spoon from half the avocado and slice. 2. 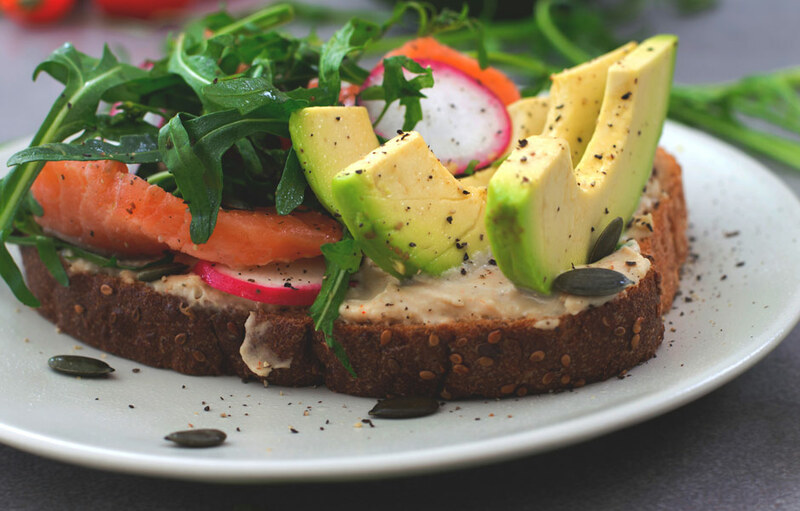 On a serving plate, top rye bread with rocket, slices of smoked salmon, then top with avocado slices, radishes and pinch of alfalfa sprouts. Drizzle with half teaspoon olive oil, lemon juice and black pepper. Quarter the cherry tomatoes and finely shred the basil leaves, place in a small serving bowl or ramekin and crumble sin the feta, drizzle with olive oil and a dash of balsamic. Serve immediately.